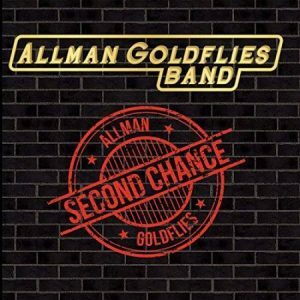 With their debut effort, the Allman Goldflies Band offers their version of southern rock that sprang from the legacy of the Allman Brothers Band. Gary Allman, a cousin of Duane and Greg, handles vocals, keyboards, acoustic and slide guitar. Bassist David “Rook” Goldflies served stints in Dickey Betts Great Southern Band and the ABB when they reformed in 1979. Other band members include Joe Weiss on guitar, bass, and vocals, with Shawn Shackelford on drums. Matt Siegal and the late Luther Wamble also make appearances on guitar. “Ever Been So Lonely Baby” starts things off with Allman delivering a gritty vocal over a hearty shuffle sparked by a thick bass line from Goldflies and a taut guitar solo. The band immediately shifts gears into a gentle ballad, “Standing In The Georgia Rain,” focused around Allman’s acoustic guitar, with several interjections from multiple electric guitars. “Southern’s All I Ever Wanted To Be” features a familiar twin guitar sound and some fine keyboard work as the band celebrates their roots on an easy rocking number. “Yesterday’s Blues” is a emotionally-fraught examination of loss and separation, with short guitar interludes heightening the aura of sadness. The lone instance of instrumental jamming takes place on “Fadiddle,” a wild ride through a dark terrain with Goldflies on violin, his first instrument, giving the Charlie Daniels sound an Eastern European tinge. Allman’s slide guitar playing is prominently featured on “Baby Show Me How,” a countrified ballad about redemption beyond the prison gates. On “Pretty Green Eyes,” the guitars rock a bit harder on a track that bears resemblance to the Marshall Tucker Band. Goldflies lays down a popping bass line on “Can’t Turn Back Now,” his thin voice extolling the virtues living life on your own terms. Wamble distinguishes himself on “You Gave Me Love,” his melodic guitar licks the high point on another ballad. The closer tune, “When Jesus Calls,” is a touching tribute to Allman’s mother featuring a full choir on backing vocals over a shifting rhythmic foundation. There is plenty to enjoy on this all-original program. The music is well-played and the vocals are heartfelt, if not always engaging. 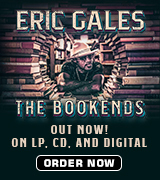 Followers of the Southern rock idiom will certainly want to give this one several listens. 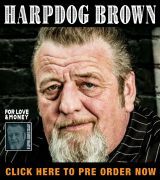 Discerning blues listeners will probably need to look elsewhere.